The BHP CustE+ Profile Pack is a whopping 56 profiles for the KPA. The BHP CustE+ seeks to recreate tone from racks and rigs that incorporated the Custom Audio Electronics CAE3+ preamp. This preamp is in the running for THE "Holy Grail Preamp". For this pack I profiled two different original purple CAE3+ preamps, and created a balance of tones that would complete any rack setup. In addition, I created an entire bank of Lukather style tones (mostly Candyman & Kingdom of Desire era), and Megadeth (mostly Symphony of Destruction & Youthanasia) style tones. 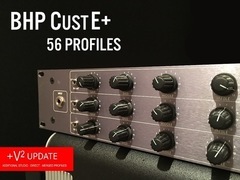 The BHG Cust3+ is a pack of 56 profiles for use with the Kemper Profiling Amplifier. 39 brand new profiles added. I really wanted to capture the fatter, more woody characteristic of the original preamp. So I used a Bogner Ecstasy as the power section. 24 of these profiles are Direct. 15 are Studio Profiles. 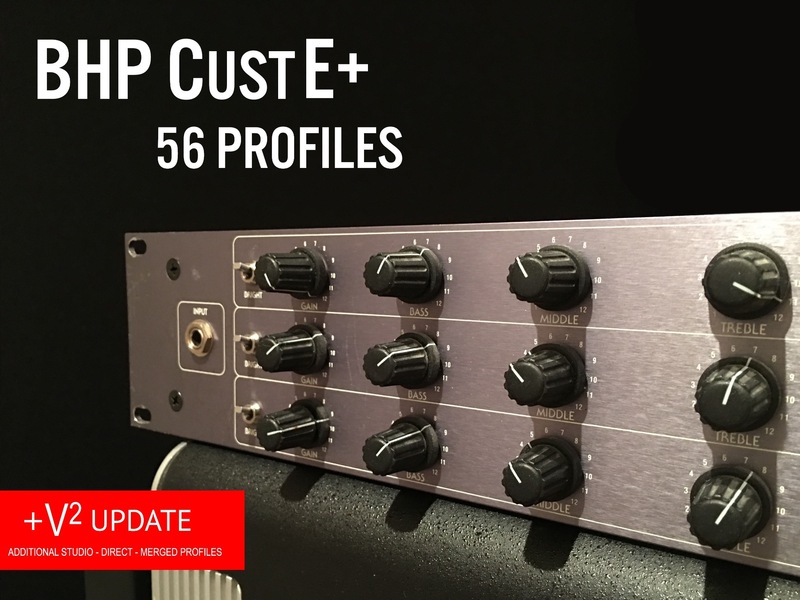 The CustE+ V2 patches are 4 new STUDIO, DIRECT, and MERGED profile, ranging from clean to full searing lead. It's the first time I've ever released Direct profiles. All of the V2 profiles were recorded with a gorgeous chrome faced VHT Classic EL34 power amp, which I didn't have when working on the V1 (so that's new too). All of the V2 profiles are updates, so anyone who purchased a pack with V2 content will receive an update email link.